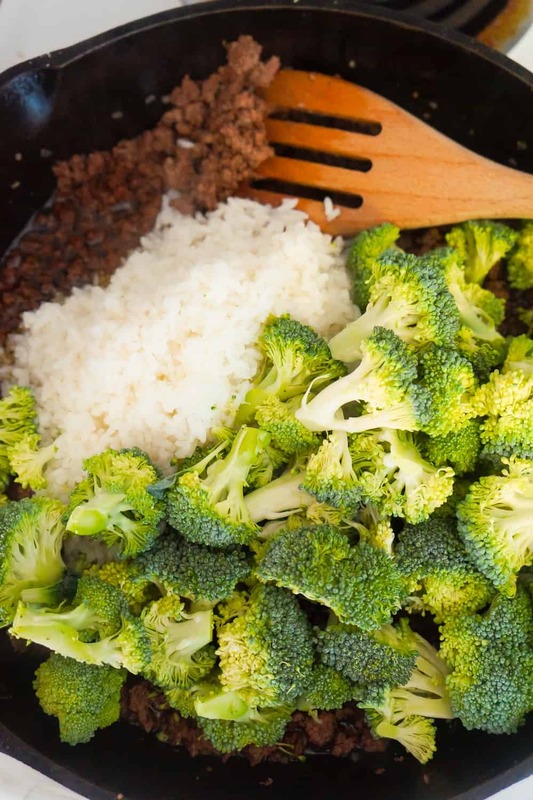 Honey Garlic Ground Beef and Rice with Broccoli is an easy stove top dinner recipe. 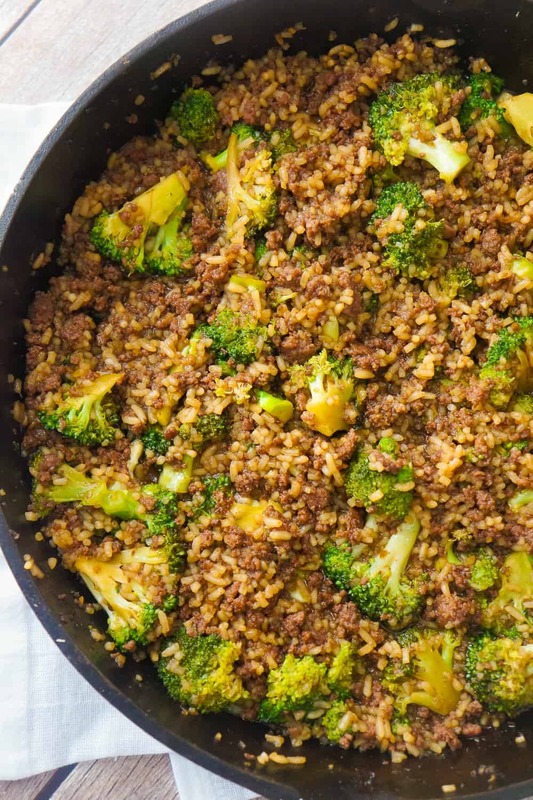 This skillet dinner is loaded with ground beef, instant rice and broccoli florets all tossed in honey garlic sauce. To make this dish, I started by cooking some instant rice according to the instruction on the package. While the rice was cooking I heated up a large skillet on the stove. 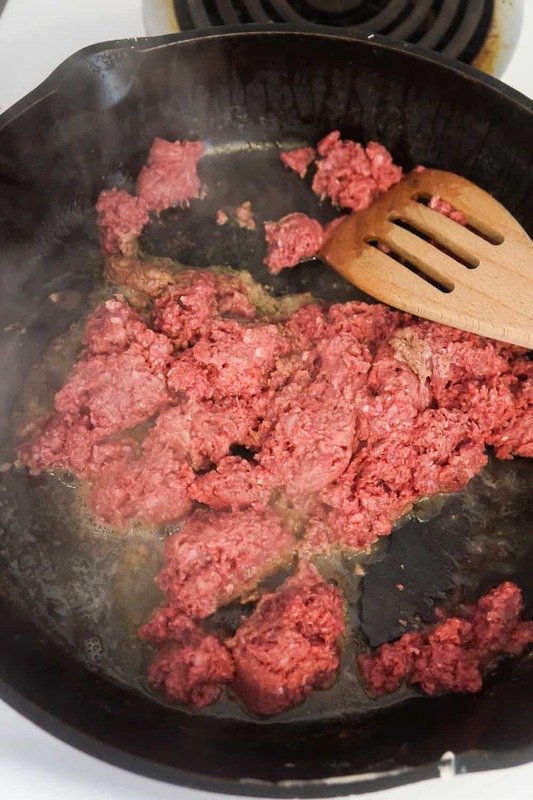 I added some lean ground beef to the skillet along with a dab of margarine. While the beef was cooking I seasoned it with salt, pepper and dehydrated minced onion. Then I took a crown of broccoli and chopped it into florets. 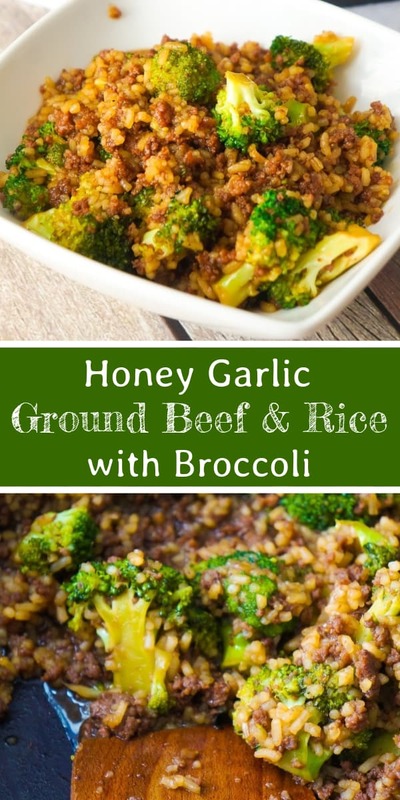 Once the ground beef was completely browned I added the chopped broccoli to the pan along with some honey garlic sauce and the cooked rice. I stirred all of the ingredients together really well and then left them to simmer for five minutes. After five minutes I removed the dish from the heat and allowed it to cool slightly before serving. 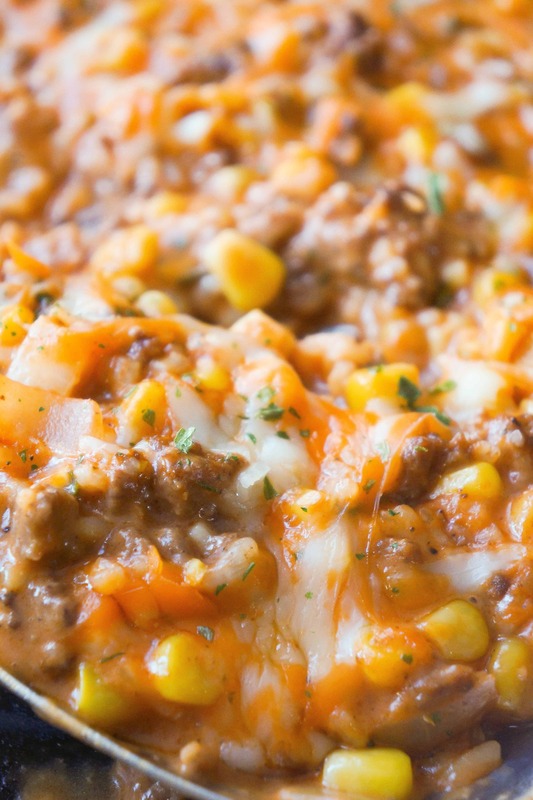 This filling dish is packed with flavour. 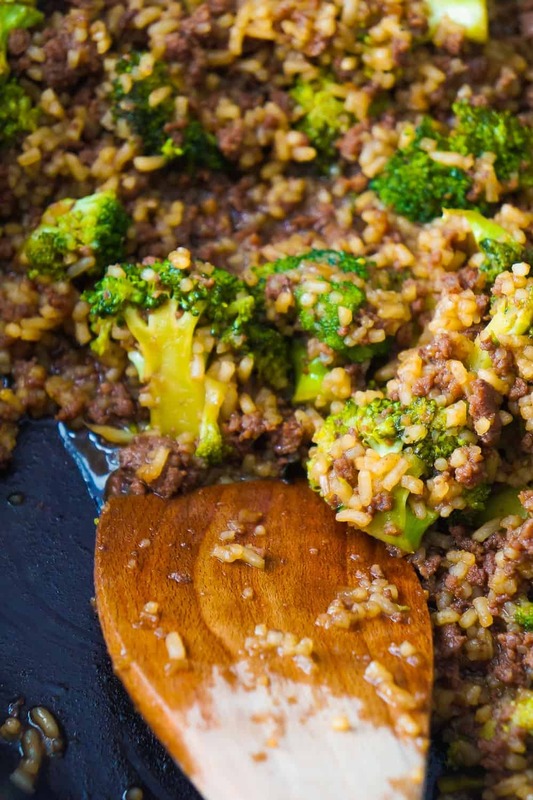 Honey Garlic Ground Beef and Rice with Broccoli is the perfect dinner for those nights when you’re in a hurry to get dinner on the table. 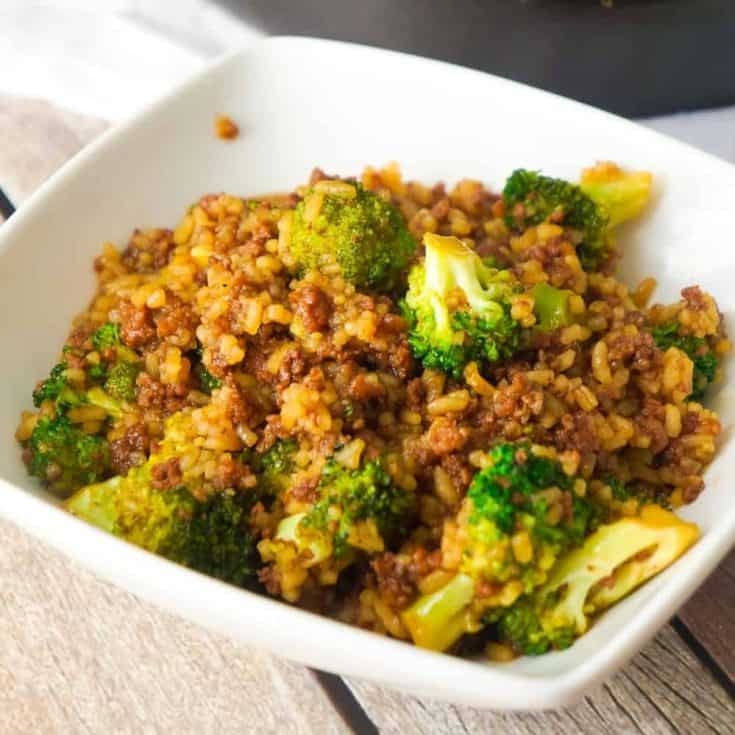 Another delicious broccoli recipe. 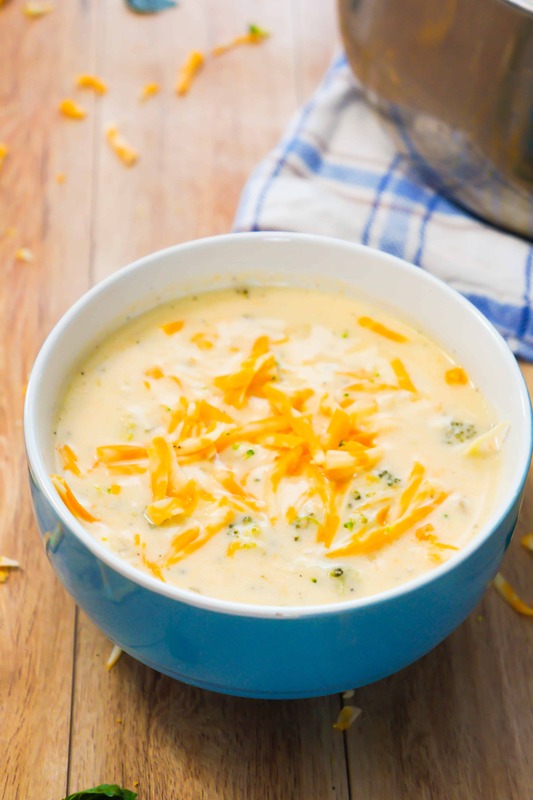 Check out this Broccoli Cheese Soup with Chicken! 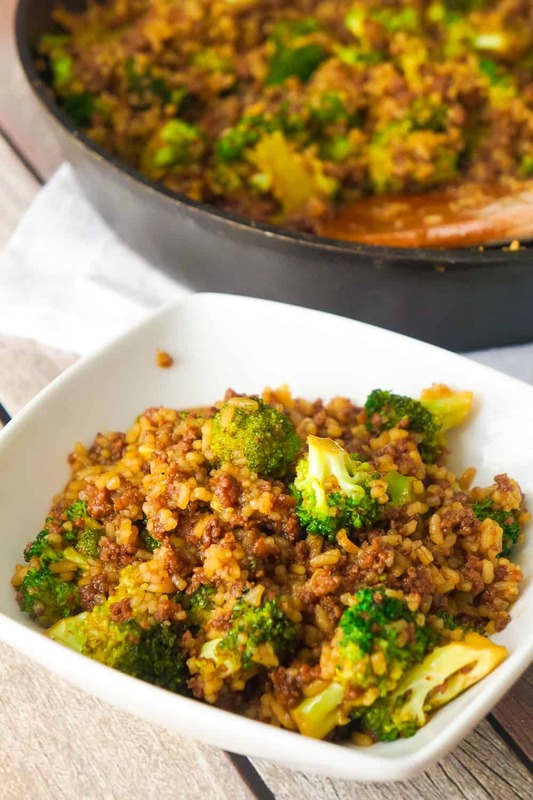 Honey Garlic Ground Beef and Rice with Broccoli is an easy stove top dinner recipe.This skillet dinner is loaded with ground beef, instant rice and broccoli florets all tossed in honey garlic sauce. Cook the instant rice according to the instructions on the package. Heat a large skillet on the stove over medium-high heat. 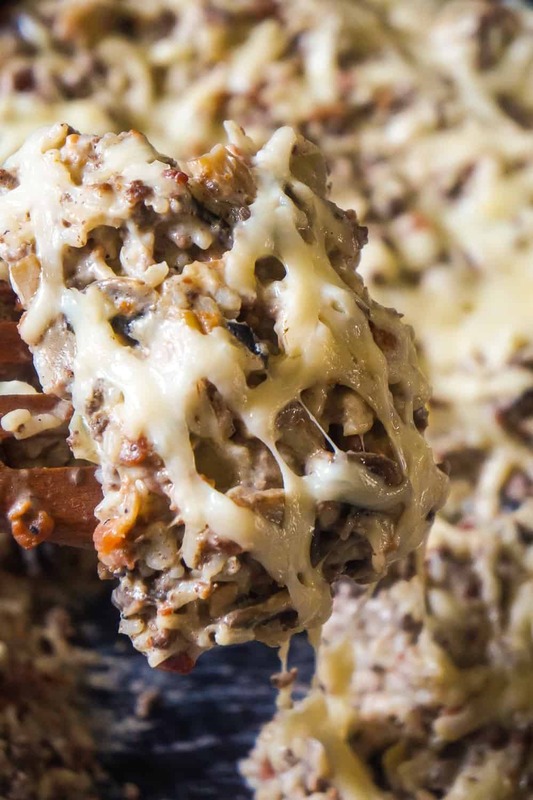 Place the ground beef in the skillet along with a dab of butter or margarine. While the beef is cooking, season it with the salt, pepper and minced onion. 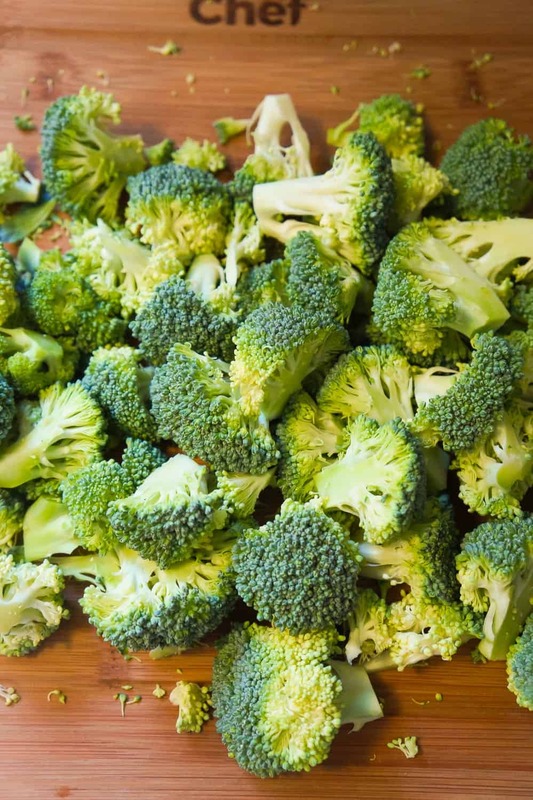 Chop the broccoli into medium sized florets. 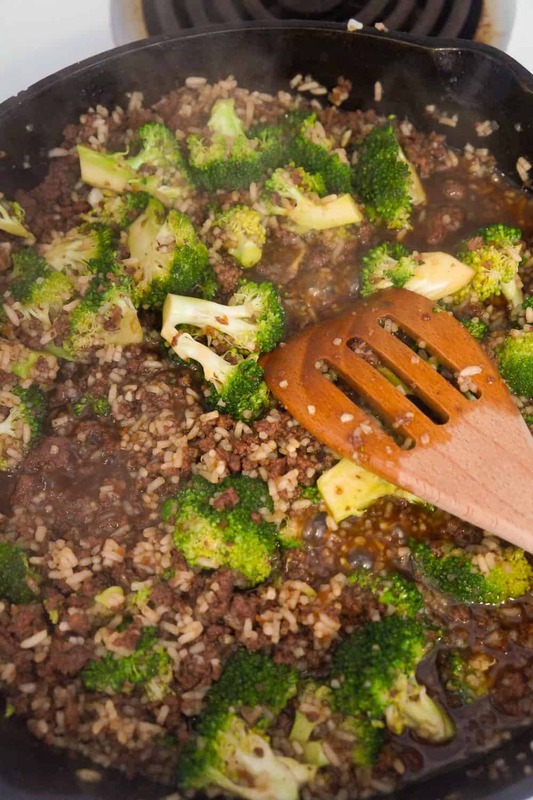 Once the ground beef is completely browned add the honey garlic sauce, chopped broccoli and cooked rice to the skillet. 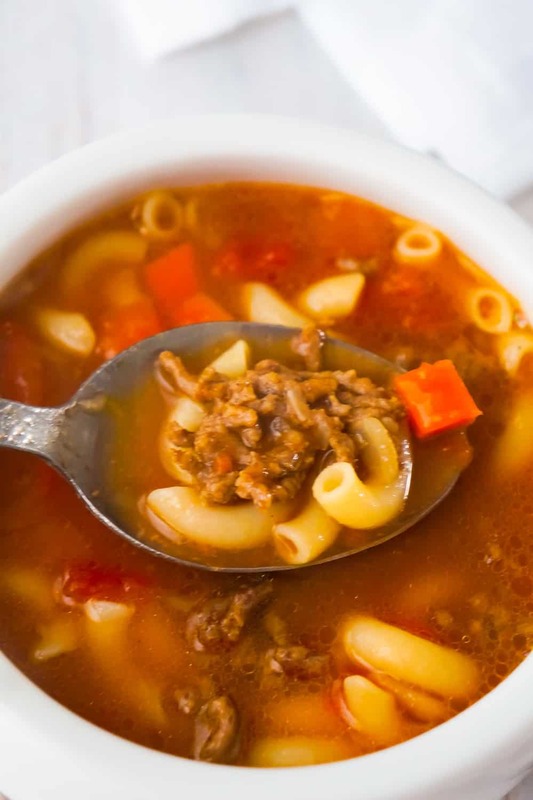 Stir all of the ingredients together really well and leave them to simmer for five minutes. 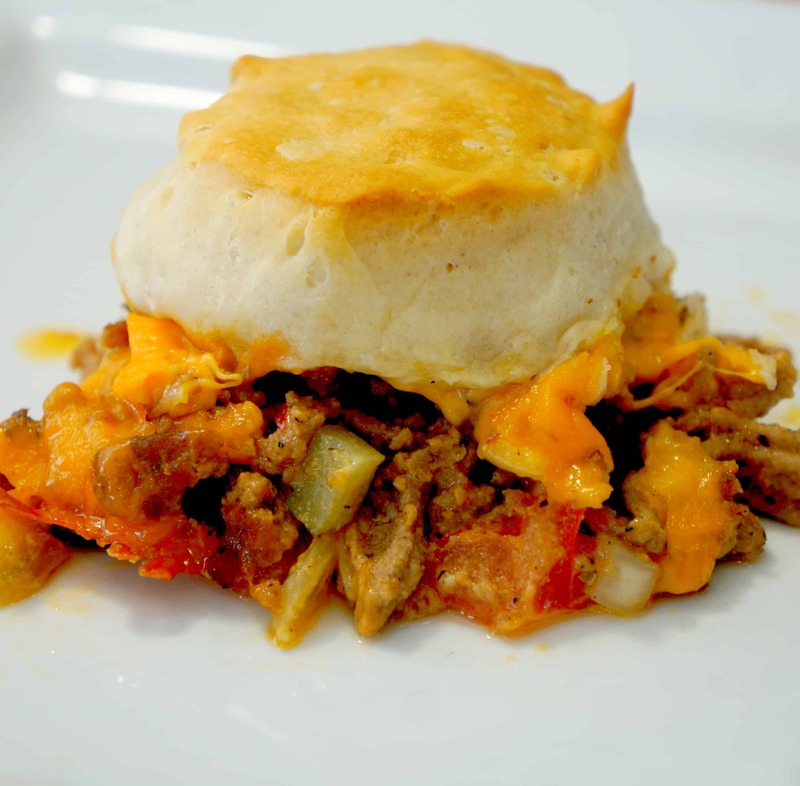 After five minutes remove the skillet from the heat and allow the dish to cool slightly before serving.